Sucked up. More like complied with demands. Tesla has been the darling of countless automotive review publications. 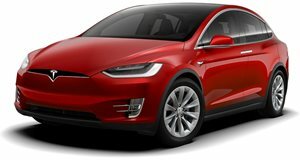 Last month, however, Consumer Reports called out Tesla for not equipping Model S and Model X vehicles built after October 19, 2016 with standard Autonomous Emergency Braking (AEB). Tesla replied to CR that it would add this feature by the end of the year, but it didn’t happen. 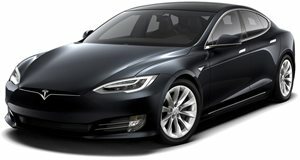 Therefore, CR removed points for the pair of Teslas, resulting in the Model S losing its top spot on the luxury list (the Model X was already near the bottom of luxury midsize SUV ratings). Obviously Tesla was not happy about this, and it moved fast to fix the problem. By the end of April, Tesla began sending over-the-air updates to owners to activate AEB. CR took note and then made sure all affected owners received the update. Once confirmed, CR restored Tesla’s rating points. However, CR also notes that "despite the restored points, the Overall Scores for new versions of the Model S and Model X remain lower than earlier versions because the updated braking system doesn’t work at highway speeds." It works up to only 28 mph. When Tesla has AEB that operates at higher speeds, CR will reexamine the scores again. CR’s bottom line position is that AEB is a "crucial safety feature that has proved to prevent accidents."